Just wanted to say that I am so pleased with how the two pieces I had framed turned out and I truly owe it all to [Frames Unlimited]…when I picked up the frames, things were more than just fine; they were spectacular. Both pieces just look fantastic. Please pass along my gratitude. [Frames Unlimited] thoughtful design skills and demeanor are truly appreciated. I wanted to share what a wonderful experience I continue to have in [Frames Unlimited]. [Frames Unlimited] truly embodies customer service – personal, caring, reliable…you’re by far the best – all thanks to your team. I just wanted to share that I have had two wonderful experiences with [Frames Unlimited]. My past framing experience could not have been better from start to finish…I had to make sure that I sent you an email sharing this positive experience. Coming from the art world, I appreciate the offerings and high quality service. The finished product was even more beautiful than I had imagined…I very much look forward to continuing to have [Frames Unlimited] help me with my framing needs in future. I told [Frames Unlimited] that my goal was to produce as realistic a sketch as I could. I was impressed when [you] showed me the completed project. Thank you…for your help with framing my artwork. 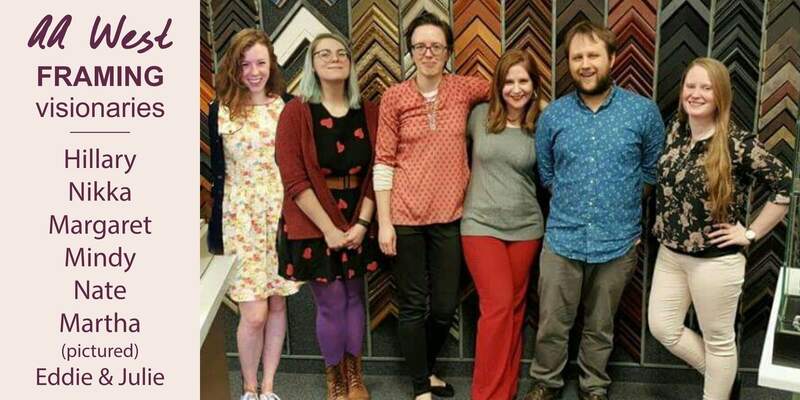 I have enjoyed working with [Frames Unlimited] for matting color, frame options, and their ideas for creative possibilities that I would not have envisioned on my own…It is good to know that your staff is reliable, pleasant, helpful, and consistent. Being a return customer, that is important. Having staff that knows me, remembers other projects that I have done, and is willing to bring creativity and care to new projects is comforting…While there are so many pre-made and quick options out there, finding a place like Frames Unlimited to which I can return with small or larger projects is so wonderful. By offering an expert, personable staff and product of high quality, you are continuing to offer a business I will frequent and one I will recommend. I am not new to Frames Unlimited and have been very happy with my previous orders…I picked up my framed prints today and they are just gorgeous!! [Frames Unlimited] did a perfect job, everything is exactly what I requested…as I am particular about my stuff…I would like you to know how very pleased I am and I will certainly be back for more framing…Thank you for making this great service available.